Congratulations to Lisa and Steve on the birth of their daughter, Isabel! Isabel was in such a hurry to meet her lovely parents, and after only a couple of hours of labor, Lisa arrived at the birth center fully dilated. Dad said that her middle name would be "Freight Train." But Lisa coped with the intensity of a fast labor beautifully, and had such a beautiful, gentle birth. It was an honor to be part of their birth! What a beautiful new family! Join me in welcoming Link Anthony into his parents' arms. Sidney made labor look like a walk in the park, and when it was time to push this petite young woman was a powerhouse and roared her baby out. Congratulations Sidney and Seth! It was a pleasure to work with you. Join with Shelby and Tyler in welcoming Elan Able. This precious little guy was in such a hurry to meet his mommy and daddy that he came a few weeks early and barely waited for them to make it to the birth center. Although it was a rush, mommy got to have the peaceful waterbirth that she wanted at Birthwise Birthing Center. He is happy now that he is in his mommy's arms. And now that he is here, I am excited to also help Tyler and Shelby begin their Elimination Communication practice with Elan. Congratulations Shelby and Tyler! I'd like to join Sara and Andy and big brother Caeden in welcoming Luna Kinsley! 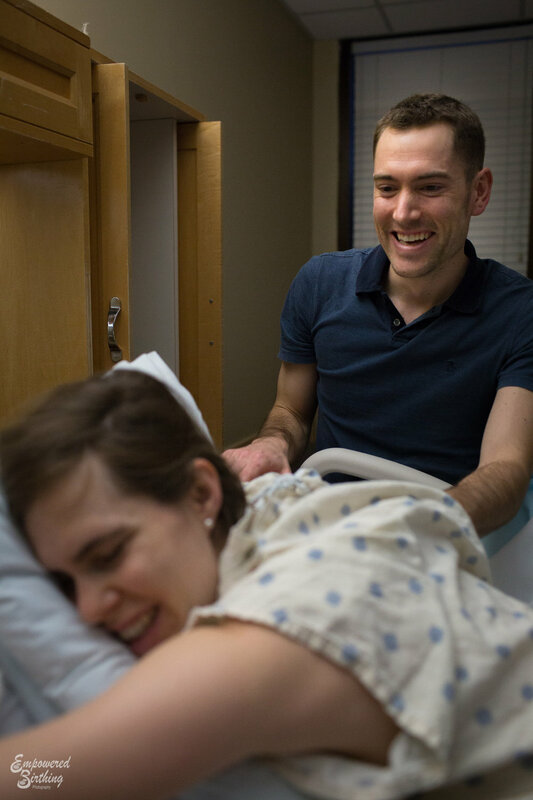 Sara and Andy did a great job in preparing for this birth so that they could have a better birth experience this time. And sure enough, this labor was very different. Sara had a fast, intense labor and arrived at the hospital just in time to push this little girl out, who was so anxious to meet her family. Even though it was a little crazy there at the end, Sara got the natural VBAC that the wanted, and Luna was welcomed into a loving arms. And now they are on the crazy adventure of having two under two. Congratulations Sara and Andy! It was a pleasure to work with you! Rebekah and Ryan welcomed their first child into the world, a boy, Elijah Charles at Austin Area Birthing Center South. This healthy boy weighed in at 8 lbs 4.5 oz and 21 inches long. His parents are overjoyed at his arrival. Rebekah's labor began with her water breaking 38 hours before the birth, so it was long and tiring but Rebekah did an amazing job coping. Fortunately she had a patient and wise midwife who helped Rebekah to follow her body's lead. Rebekah had been interested in birth, especially natural birth, since she was a little girl, and she got to have the beautiful and empowering natural birth that she had dreamed about for so long. It was such a pleasure to work with this sweet couple and help them on their journey to parenthood. Congratulations Rebekah and Ryan! Ilyse and Brandon welcomed their beautiful daughter, Camilla June on May 5, 2015. This lucky baby was born on her due date, 5/02 at 5:02 pm. Granddad joked that he was going to go play the lottery and bet on 502. Mom did a beautiful job coping with the intensity of labor using her relaxation techniques. She was doing so well we weren't always sure when a contraction came. We are all proud of her for achieving the natural birth she wanted. She was supported by her loving partner and her mother throughout her labor, and she was rewarded with a healthy and beautiful baby girl. Congratulations Ilyse and Brandon! It was a pleasure to work with you. It is International Day of the Midwife so I would like to take a moment to send my appreciation to all the midwives out there who are working tirelessly to normalize birth. I love midwives. I loved giving birth with midwives and I love working with midwives as a doula. 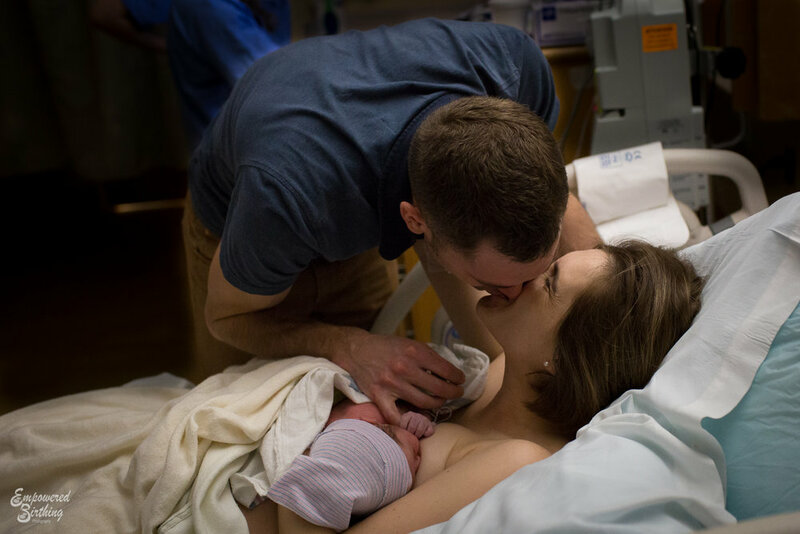 When I first chose to give birth at a freestanding birth center, I don't think I had a whole lot of expectations about what midwifery care would look like, I just knew I wanted a natural, non-hospital birth. But I soon realized the care I received there (and this was a big, busy birth center) was different than any doctor's office I had been at. My care was so personal and individualized. I was always given options and expected to take the lead in my decisions. There was never a sense of "well this is just the way we do things." I got to know each of the midwives and they got to know me, and after my last postpartum visit, I began to miss my time there (Who ever misses going to the doctor?) And at my births, I felt wonderfully supported, encouraged, and lovingly cared for. It is because of their care that I eventually chose to become a doula, and perhaps one day, I'll journey down the midwifery path myself. I think this chart about the midwifery model of care sums it up well. Birth is a social event, a normal part of a woman's life. Home or other familiar surroundings. See birth as a holistic process. Information shared with an attitude of personal caring. Familiar language and imagery used. Believes in integrity of birth, uses technology if appropriate and proven. If you have a low-risk pregnancy, consider choosing midwifery care for your pregnancy and birth, whether you choose a hospital or out-of-hospital birth. Childbirth is a potentially pathological process. Hospital, unfamiliar territory to the woman. Bureaucratic, hierarchical system of care. Trained to focus on the medical aspects of birth. "Professional" care that is authoritarian. Often a class distinction between obstetrician and patients. Information about health, disease and degree of risk not shared with the patient adequately. Spiritual aspects of birth are ignored or treated as embarrassing. Values technology, often without proof that it improves birth outcome. I am pleased to announce the birth of Katherine Prairie Sky to proud parents Dave and Hilary. Katherine was born on November 23 at 2:29 am at St. David's North Austin Medical Center, and weighed a mere 5 lbs 11 ounces. Although Hilary needed to be induced a little sooner than baby wanted, she continued with her plan for as natural a birth as possible and labored without pain medication for the whole time. She showed exceptional strength and determination and did a great job of advocating for herself each time a decision about her care needed to be made. Dave was a great support throughout and coached her through her contractions and had unwavering faith in his wife's ability to give birth naturally. Congratulations Hilary and Dave! You did a great job and you have a beautiful baby girl!